In the winter of 1837, eighteen year olds - John T. Kingston and Samuel Pilkington walked up a semi-frozen Lemonweir River in search of big timber and big profits. John and Samuel returned home. Pilkington never returned to Juneau County but Kingston did return along with Thomas Weston, E. S. Miner, and John Werner. In the fall of 1843, John departed with Esquire Rice, from what is now known as Wisconsin Rapids, to explore the Menominee land downstream on the Wisconsin River and Yellow River for pine timber. In 1848 John, along with John Werner and Joe Gill explored the Yellow River to claim some land where they would prepare to build a sawmill at what would become Necedah. Eliphalet S. Miner and John were partners in the Necedah Lumber Company from the 1850's until the late 1870's. In 1852 John and another early settler, W. H. Darrow, founded a Sunday school in Necedah were classes met in a log cabin schoolhouse. At the 1870 County fair John exhibited his fruit growing expertise with ten varieties of grapes, five varieties of pears and sixty-eight varieties of apples. In the late 1870's John south a railroad connection to their village of Necedah, the village wanted to ship lumber to the west. John was very interested in politics and was a staunch Republican. He served in the Wisconsin Senate and Assembly, was county register of deeds, Necedah village president and postmaster. The town of Kingston is named in his honor. Infant daughter was born 1854 and died 1854 in Necedah. Wilbur John Kingston was born 11 Feb 1855 and died 25 Jul 1856 in Necedah. William Paul Kingston was born 17 Feb 1857 and died in Seattle, WA. Mary B. Kingston was born 19 Dec 1863 and died unknown. 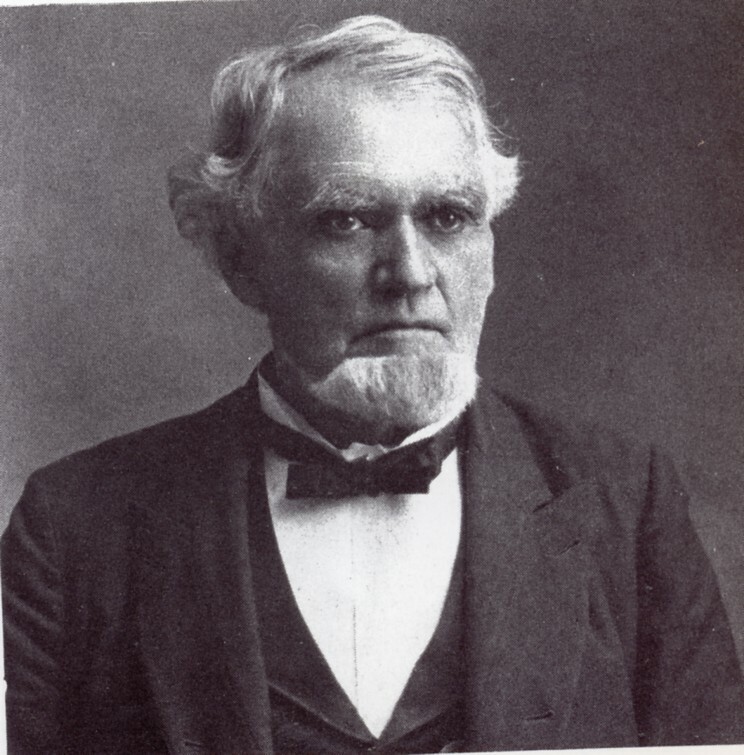 John Tabor Kingston, Jr. was born 04 Jan 1860 and died 26 Aug 1898 in Puerto Rico. Arthur L. Kingston was born Feb 18, 1862 and died unknown. Frank Wilbur Kingston was born Feb 14, 1866 and died Nov 22, 1866 in Necedah. Edith G. Kingston was born Oct 8, 1867 and died unknown. Charles Dawes Kingston was born Dec 21, 1868 and died 1872. Una Ethel Kingston was born Mar 11, 1872 and died Aug 12, 1875. John and Hannah are buried at the Bay View Cemetery in Necedah, along with their children: Charles, Frank, infant daughter, John Jr., Paul, Una, and Wilbur. Mary, age 65, born in N.Y.
Isaac Lewis, age 22, laborer, born in N. Y.
Homer Ealey, age 20, comm. labor, born in Mass. Hannah, age 50, wife, keeping house, born in ME, father born in ME, mother born in N.B. The remains of ex-Senator John T. Kingston, Jr., arrived in Necedah Tuesday afternoon from Puerto Rico, and were met by a delegation of the G. A. R. post and escorted to the family residence. The funeral took place at 2:00 o'clock yesterday afternoon, and was the largest ever held in Necedah. A large number of floral tributes were received from friends in different parts of the state. The pallbearers were Sergt. F. F. Carter, Corporals H. J. Lyon, C. F. Hagemann, H. R. Fosbinder, Privates E. L. Field, and W. E. Bradley, of Co. D, 3rd Wisconsin Volunteers, of this city. This company was present at the funeral of Corp. Kingston in Puerto Rico. Hon. John T. Kingston died at his home in Necedah, at 10 o'clock last Sunday evening of heart failure, aged 80 years, 1 month and 27 days. John T. Kingston was born in St. Claire county, in the state of Illinois, on the 31st day of January, 1819. He came to Wisconsin in 1831, and first settled at Racine. In 1848 he removed to the point where the village of Necedah is now situated and there, in company with the late Thomas Weston and E. C. Miner dammed the Yellow River, erected a sawmill and established the business that ultimately grew and developed in to the great lumbering business of the Necedah Lumber Company. In the social and commercial affairs of the community wherein he resided. Mr. Kingston always bore a conspicuous and honorable part. Whatever made for good, or tended to the uplifting of the moral and intellectual advancement of its members found in him an ardent, generous and vigorous friend and supporter. Even his most pronounced opponents never questioned the purity and integrity of his purposes. His battles for what he believed to be the right were fought openly, fearlessly, and with a frankness that left no chance to question the honesty of his purposes or methods. In his political life he exploited the same conspicuous traits of character, and was often honored by his fellow citizens because he compelled their respect and won their condence and esteem. He served his district as state senator in the years 1856, 1857, 1860, 1861, 1882 and 1883; was appointed a trustee of the State Hospital for the Insane in 1870 and for the Northern Hospital for Insane at Oshkosh in 1872. Represented his district as assemblyman in the legislatures of 1874, 1880 and 1881, and was a presidential elector on the Republican ticket at the election of 1880. Besides the offices above enumerated, he held various more local offices, the last being that of Register of Deeds of Juneau, county for two terms, the last ending on the first Monday of January last. His son, John T. Kingston, Jr., who enlisted in and served as a member of the Third Wisconsin Infantry in the State War with Spain, died in Porto Rico on August 26th, 1898, and his remains were recently brought to Necedah and interred family grounds in the cemetery, an account of which was given in the PRESS a few weeks since. Mr. Kingston leaves a wife, two sons and three daughters -- Wm. P., residing in the State of Washington, Arthur L., Mrs. Jay Jennings and Mrs. A. P. Niles of Necedah, and Mrs. H. K. Willis of Warner, S.D. The funeral was on Wednesday and was attended by large numbers of people from all parts of Juneau, Adams and adjoining counties as well as other parts of the state. Delegations were present from all the Masonic Lodges of Juneau county, and the ceremonies were conducted under the auspices of that order, of which the deceased was a conspicuous and highly esteemed member. Juneau County The First 100 Years, 1988 Juneau County Historical Society and New Past Press Inc.
Illinois State Archives. Illinois Servitude and Emancipation Records.